Nothing is more important than the safety and well-being of your little ones. But when you can’t be there for them, we can. 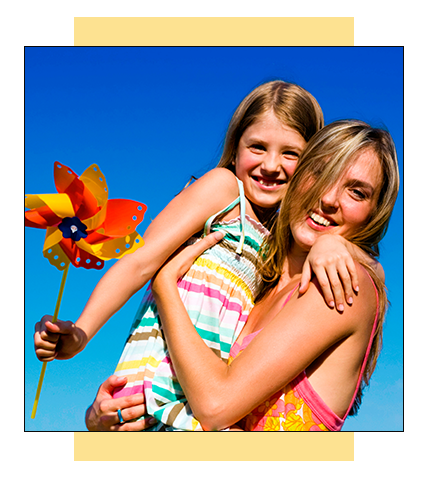 Our nannies and babysitters are responsible, reliable, and have a passion for child care. If you need full-time care, we have live-in or live-out nannies. We have part-time nannies to provide care after school, or just on days when schools are closed or if a child is home sick. We have babysitters for you to use as needed. We have tutors to help your kids study. We have mother’s helpers for parents who stay at home during the day but still need child care. We have summertime nannies to help with pickup and drop-off at camp. Basically, we have your child care needs covered. Many of our caregivers are CPR-certified, and many have childhood education backgrounds. We have nannies that specialize in caring for kids with special needs, and those that specialize in newborn care. Most importantly, we provide peace of mind that your child is in the care of a thoroughly screened and background-checked professional, so you can rest easy knowing that your loved ones are in good hands.